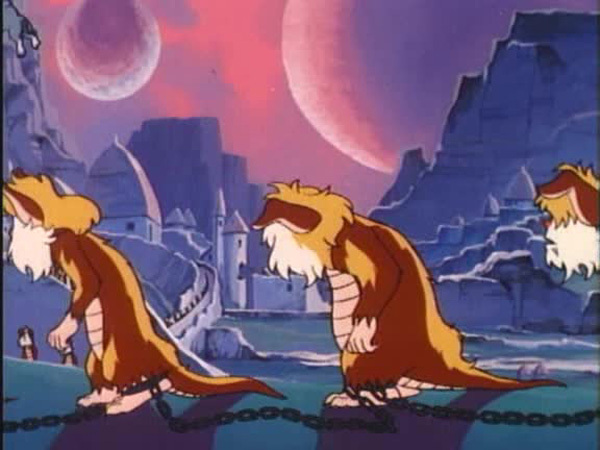 When a saga like ThunderCats which spans time and galaxies is adapted into a television series, compartmentalizing it into 22 minute episodes can pose a difficulty. 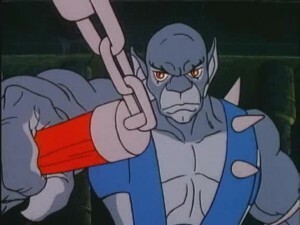 Some of the ThunderCats’ establishing narratives were spread over multiple episodes with the most common format being the five part story arc. 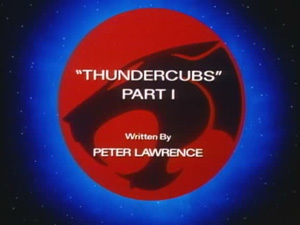 The first three pentalogies: “The Anointment Trials”, “ThunderCats Ho!”, and “Mumm-Ra Lives!” were penned by head writer Leonard Starr and after his stint, it was script consultant Peter Lawrence who rose to the challenge with his first quintet offering, “ThunderCubs”. The first part of “ThunderCubs” unfolds with Mumm-Ra giving a history lesson to Ma-Mutt. The malicious mutt listens attentively as his master talks of bygone times when Ratilla the terrible, armed with the Sword of Plun-Darr, once tried to steal the Treasure of Thundera from the ThunderCats’ home planet. 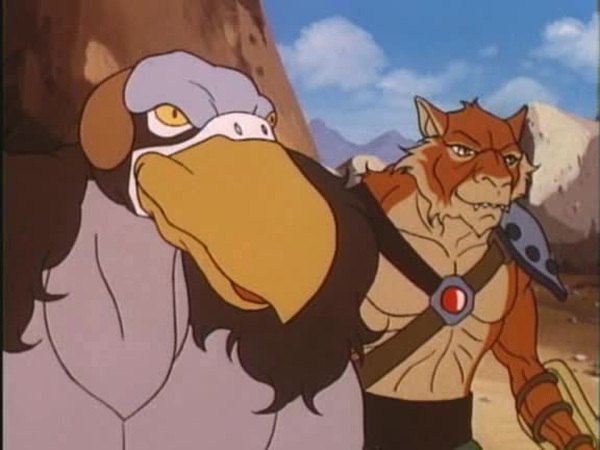 Fortunately the tyrannical rodent was stopped by a young Jaga who then cast the Sword of Plun-Darr into the deepest canyons of Thundera, out of evil’s reach. 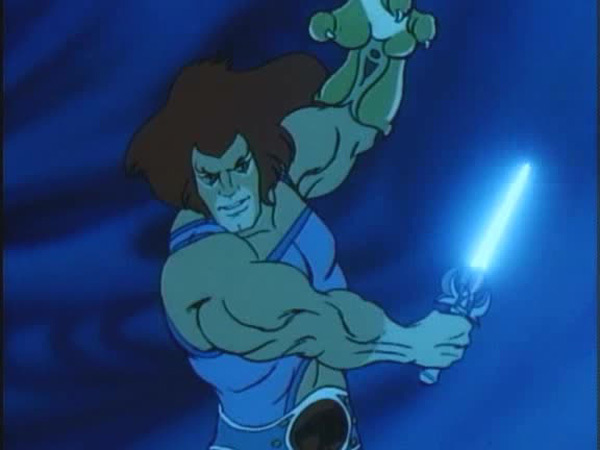 However, the tremendous power of the sword could not be suppressed and it precipitated a series of cataclysmic events which eventually led to the destruction of Thundera. 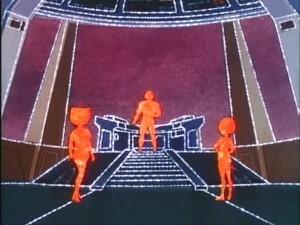 This insight into Thundera’s past explains the true reason for the planet’s doom, a mystery that has eluded both the ThunderCats and fans alike since the pilot episode “Exodus”. 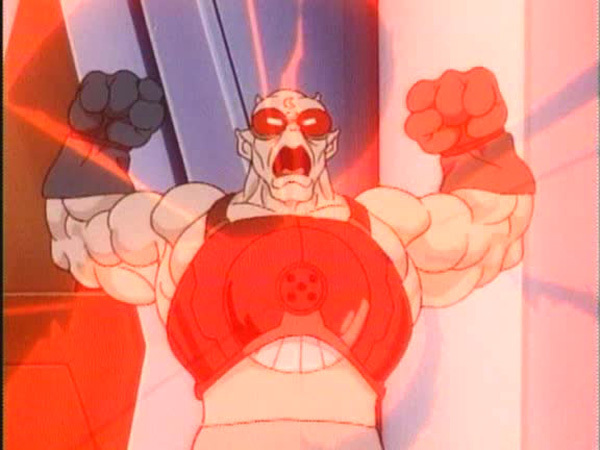 In an ironic twist, Lawrence’s clarification turns Jaga, the savior of the ThunderCats, into the person directly responsible for their near annihilation. But there is some good news as well. 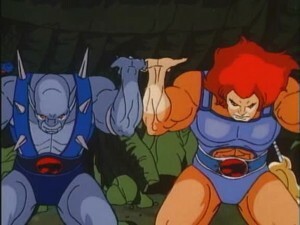 Due to a miraculous inexplicable geographical phenomenon, Thundera is re-forming! 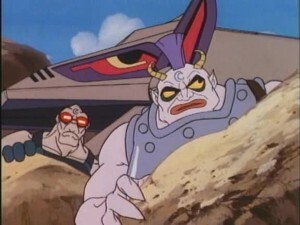 Broken off chunks of the planet are merging together and a “New Thundera” has been born. 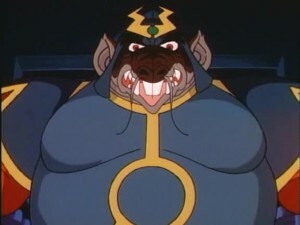 The audience are bombarded with more unelaborated revelations such as the presence of a duplicate Black Pyramid on New Thundera, as well as an entire population of Snarfs who have been enslaved by Mumm-Ra to locate the Treasure of Thundera. 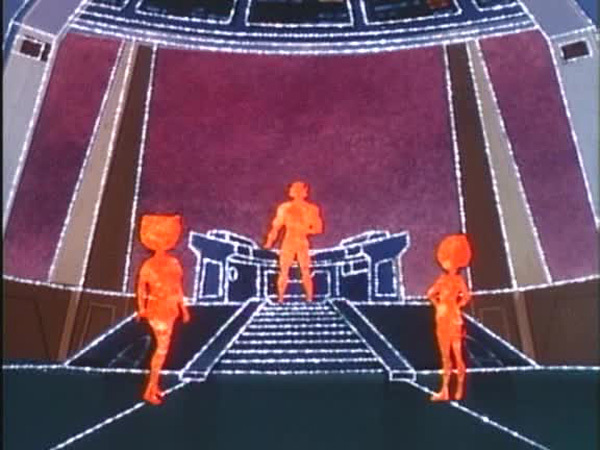 But perhaps the most bizarre introduction is that of Mumm-Ra’s “Teleporter”, an apparatus that would make even Scotty from “Star Trek” envious. 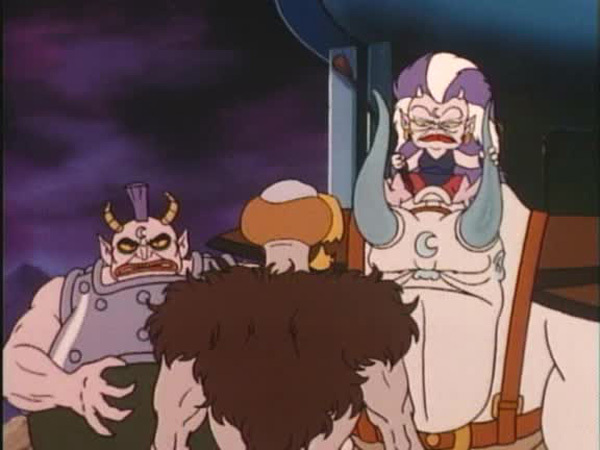 This novel device, for which no explanation is offered, allows Mumm-Ra to travel to and from New Thundera instantaneously, and it is so user friendly that even the demonic bulldog can operate it! With Mumm-Ra on New Thundera, Lion-O and Panthro investigate the Black Pyramid on Third Earth and in a strange reversal of roles, it is Panthro whose impetuousness lands the duo in trouble. The two ThunderCats deal with the “Indiana Jones-esque” booby traps set up by Mumm-Ra and the scenario ends with an interesting shot of Lion-O summoning the ThunderCats from under water. The episode ends with a cliffhanger in which Tug-Mug and Red-Eye attack Lynx-O and the ThunderKittens in the Tower of Omens while the other ThunderCats are making modifications to the Feliner for a trip to New Thundera. While this first chapter of “ThunderCubs” starts off with a big bang, the problem with it is that Lawrence tries to cram too much new information into one episode. Not only does this give little room to the writer to explain the origins of all the new elements, but it also offers little time for the audience to assimilate all the developments. 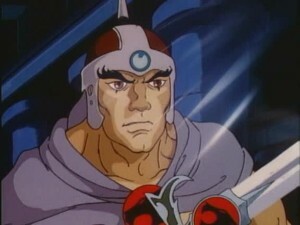 This is the first time that we see a very young and clean shaven Jaga! When fighting Ratilla, Jaga utters the line: “Sword of Omens, do not fail me now!”. This exact dialogue was said by Lion-O in “Mongor” during his final battle with the titular villain. 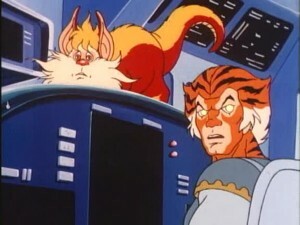 In this episode, Cheetara senses the dangerous predicament of the other ThunderCats before the Sword of Omens.